Did you know there are nearly 50 jewelry designers from around the world in Swarovski's Create Your Style Ambassador program? These designers were recruited to promote the beautiful crystals and components since most teach and many are published authors. A new book I just received for review shows just why these designers were handpicked for the program. 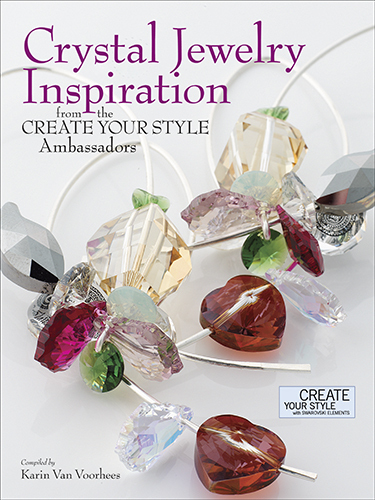 The Crystal Jewelry Inspiration From the Create Your Style Ambassadors book is full of innovative designs sure to set ablaze creative embers everywhere. It certainly did get my mind going! Few books fall into the category where almost every single design project sparked off ideas and in so many different fields. Wire work, bead work, mixed media, metal work, metal and resin clay are all featured. What's more, some of the the 30 projects introduce the less commonly used Swarovski elements especially those for the fashion industry such as the flat back elements. There were also great ideas - who would have thought o-rings and bead work go well together? 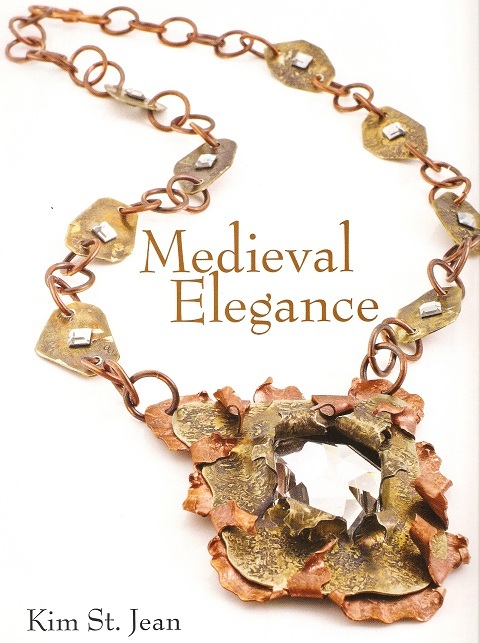 One of my favorite designs from the book was the Czarina necklace (shown above on the left) by Diane Whiting. Pure genius! The 3D pendant featured 2 types of bezels - beading and 4 fleur-de-lis filigree components - to hold the navette sew-on crystals circling the base round filigree and connect with the checkerboard flat back crystal at the top. Metal clay field was represented by Tamara Honaman's original ribbon ring. Some of the designs also featured epoxy resin clay which do showcase the embedded chaton montees well. One example is the Snow Princess necklace by Debra Saucier. Using the crystal embellished clay to wrap around the top of a tear drop pendant was not something I would have thought of! The mixed media projects were delightful too such as the Whitewashed Garden Bib by Renata Sanchez Ramos - a vision in pearls, crystals, epoxy clay, ribbon and elastic mesh! Other projects included a clever felt and crystal design and a brooch one which featured a unique use of encaustic wax which is typically used for hot wax painting. Crystals really do make the designs pop such as the forged pendant by Kim St Jean, one of my favorite metal smiths! 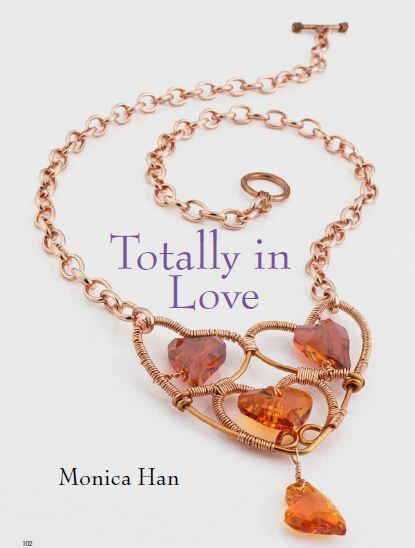 Every design in the book includes a "meet the designer" page where the creator shares how they got into jewelry making, their favorite tools and Swarovski Elements and even advice. These were fun to read but the inclusion probably cut down on the number of available how-to pictures here and there. This is not a problem - it just requires careful reading of the written instructions! Stephanie Dixon's comment really does hit home at what this book is about. She said, "Life's not about the money - it's about the sparkle!" Great book and wonderful. I just bought this book. I have met Stephanie Dixon. She is lovely and funny. Thanks for the super review of our book! I'm glad you enjoyed my O ring Pink Orbits cuff. ;-) I have linked to your site from my FB page. Thanks Leslie for taking the time to comment. Your Pink Orbits was clever too. It was so tough to choose just a few of the designs to share! They were all very good! Willi - I can well imagine Stephanie's sense of humor!